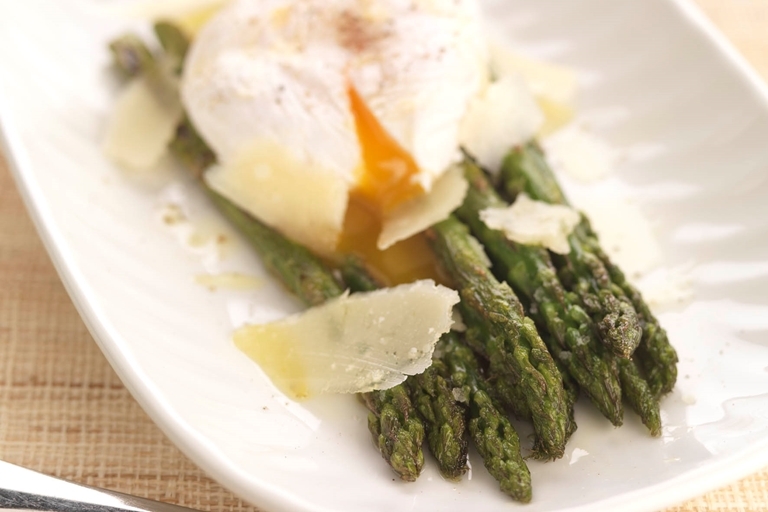 Fresh asparagus and soft poached egg is a dream combination. Here, Geoffrey Smeddle's grilled asparagus recipe lifts the flavour match to another level by adding tart balsamic vinegar and Parmesan. This is a perfect treat for a lazy Sunday brunch, and Geoffrey's dish from his recipe work with the Sunday Herald, is simple to whip up in the morning. To make this recipe vegetarian, substitute the Parmesan for a vegetarian cheese free of animal rennet.